Recently, I got the Pampered Chef Brownie Pan. 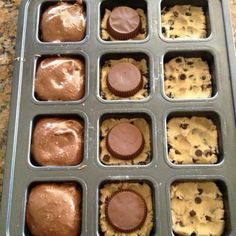 These are super easy – place and bake cookies (two squares per pan space) pressed into the bottom, topped with a mini peanut butter cup (or an Oreo) and then a spoonful of brownie mix. Bake for 25 minutes (or so, check to make sure they’re done), and voila, sinful, evil brownies! 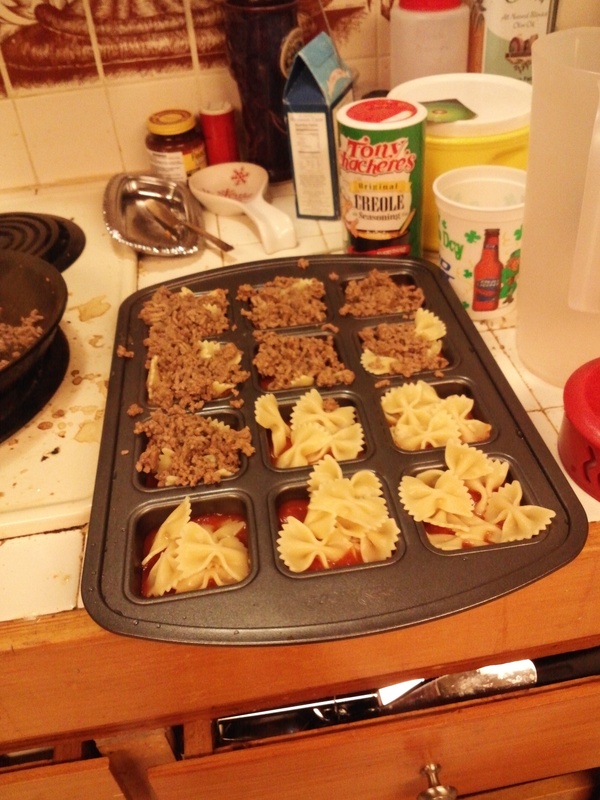 I found a recipe for mini lasagnas, but it required no boil lasagna, which I couldn’t find in our store, so I made something up. 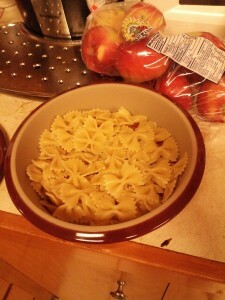 First I cooked a box of pasta. I picked the bow ties ones because I thought they were more like lasagna and I thought they would take up less space, but as it turns out, you could use any pasta you like. 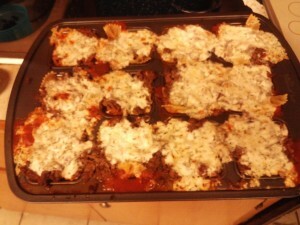 Okay, maybe not spaghetti or manicotti, but you get my meaning. 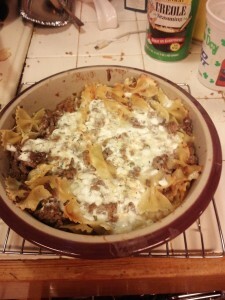 I also browned a pound of ground beef. Then I poured a little (no measuring, just eyeball it) spaghetti sauce in the bottom of each square, put a few pastas on top, and then some of the ground beef. 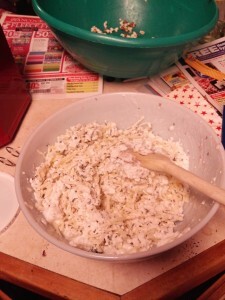 I mixed some low fat cottage cheese, a package of shredded Italian cheese blend, some herbs (oregano, basil, parsley, thyme – again, no measuring, just some) and spooned some over each square. I had more than would fit into the pan so I put the rest, in the same order, in the round covered baker, also by Pampered Chef. I stuck it all in a 350 degree oven for 25 minutes, and the family loved it.